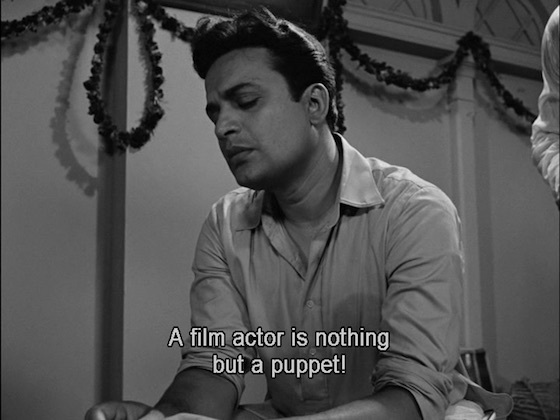 In his films from the 1950s and early 60s such as the Apu Trilogy (1955-59) and Mahanagar (The Big City, 1963), writer/director Satyajit Ray depicted the lives of ordinary people struggling to make their way in the world. 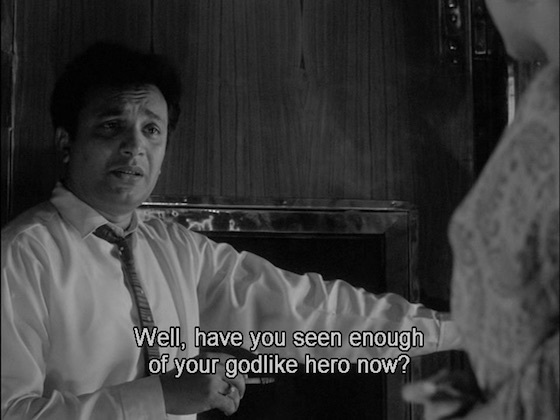 Nayak (The Hero, 1966) at first seems as though it is going to be a radical departure. 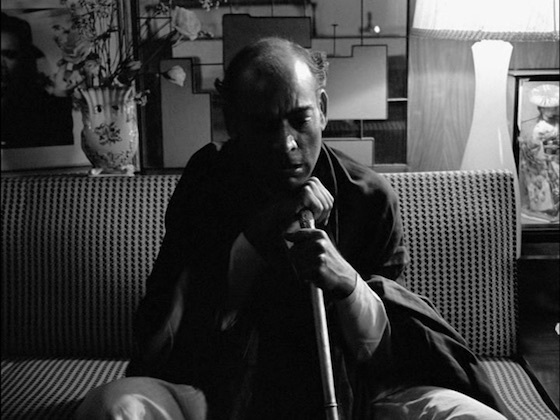 Instead of the impoverished villages and cramped apartments of Ray's earlier films, Nayak opens in the spacious bungalow of Bengali matinée idol Arindam Mukherjee (played by Bengali matinée idol Uttam Kumar), as he makes last-minute preparations for a trip to Dehli to receive an official prize. The sudden trip is occasioned by an erupting newspaper scandal about a drunken punch thrown by Arindam in a club two nights previously, as well as the unwelcome news that his latest movie is tanking at the box office. The time seems propitious to get out of town for a few days. However, instead of providing distance from his problems, his trip will bring him face-to-face with the increasingly cynical and opportunistic choices that have brought him to this crisis. 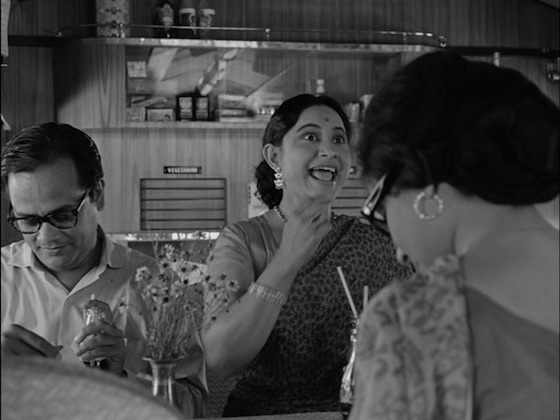 From the top: Molly Sarkar (Susmita Mukherjee) and her husband (Kamu Mukherjee), Sefalika Ajoy (Jamuna Sinha) and her husband (Subrata Sensharma), Manorama Bose (Bharati Devi), her teen daughter Bubul (Lali Chowdury), and a young girl (uncredited). 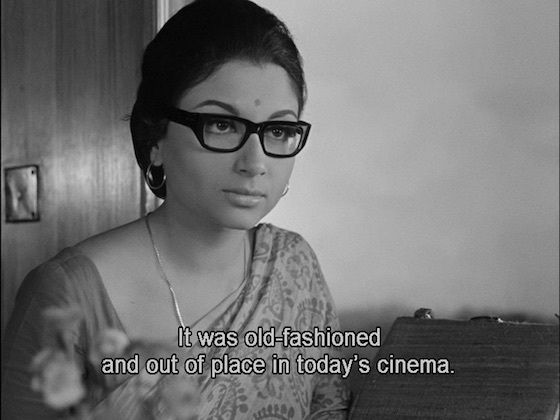 Aditi Sengupta (Sharmila Tagore) is the writer, editor and publisher of a magazine for women, and she is distinctly disapproving of the unreality of popular movies. Nonetheless, the opportunity to interview Arindam for her magazine is too good to pass up. Perhaps to challenge her moralistic certainties, or perhaps to disarm her with candor, Arindam tells Aditi some unusually frank stories about his rise to stardom. 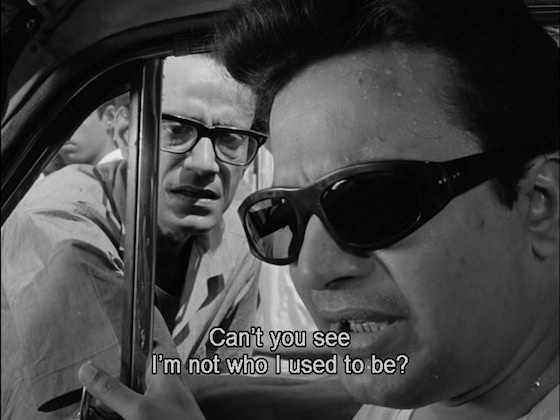 He tells her that he feels that by becoming a film actor he has betrayed the devotion to artistic truth of his theatrical mentor, Shankar (Somen Bose). He tells her of his feelings of inadequacy during his first film shoot when an older star, Mukunda (Bireswar Sen), sabotaged his performance by insisting that Arindam adapt to Mukunda's more melodramatic acting style in their scenes together. 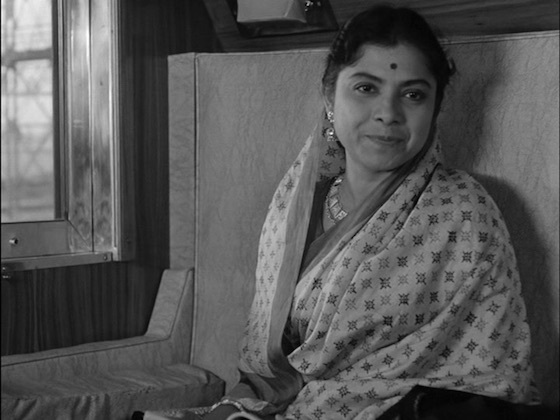 And he tells her of distancing himself from his former best friend, the political activist Biresh (Premangshu Bose), because he fears that to be drawn into controversy would risk alienating his audience. His reflections on the past give him nightmares; the nightmares drive him to drink; drinking sends him into a downward spiral of doubt and despair. 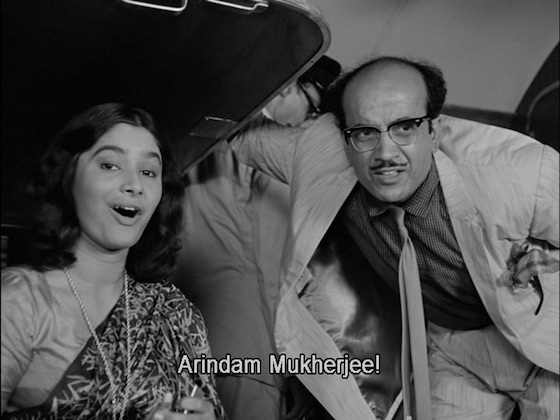 In his dark night of the soul, Arindam recognizes how empty and unprincipled he has become. 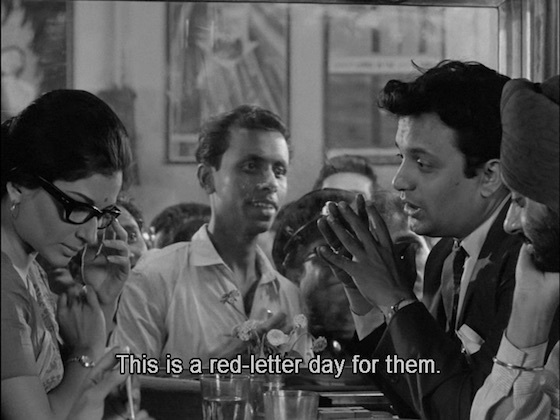 And he realizes that he's given Aditi Sengupta enough compromising material to destroy him. And yet he's unable to stop the flow of his confessions; he has to unburden himself, and there's no one else he can talk to. But his stories have affected Aditi as well. She's come to know the struggles he's experienced, the difficult choices he's faced, and the constant pressure he is under. She gets a small taste of the relentless public scrutiny he must deal with every day when the train is mobbed by his fans during a brief station stop. So now she faces her own difficult choice: she can publish her interview and ensure the success of her magazine at the expense of Arindam's career, or pass up a chance that will never come again. 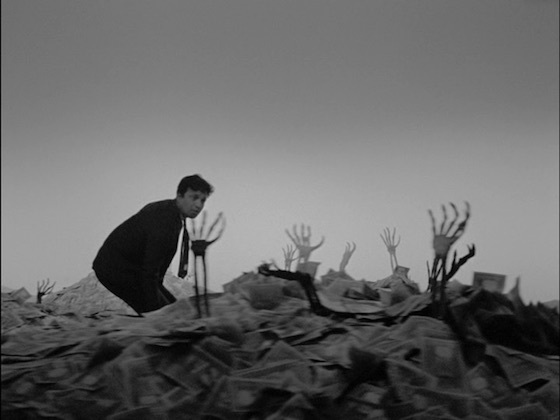 Many of the characters, not just the hero, are struggling with the question of how much to compromise themselves in order to achieve what they want in a corrupt and pitiless world. 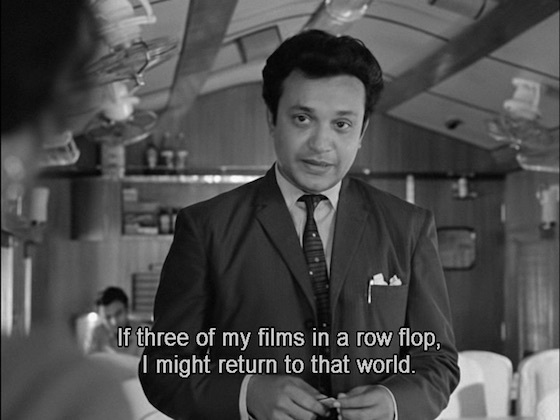 And in Nayak, as in his many other masterpieces, Ray offers no easy answers. 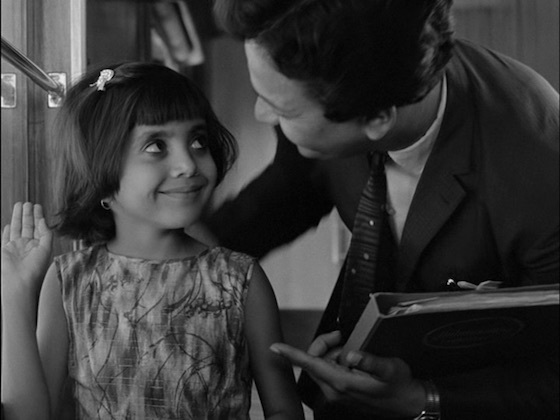 Nayak has been restored and reissued on a Criterion Collection DVD which does full justice to Ray's complex vision of his characters and Subrata Mitra's glowing black-and-white cinematography. 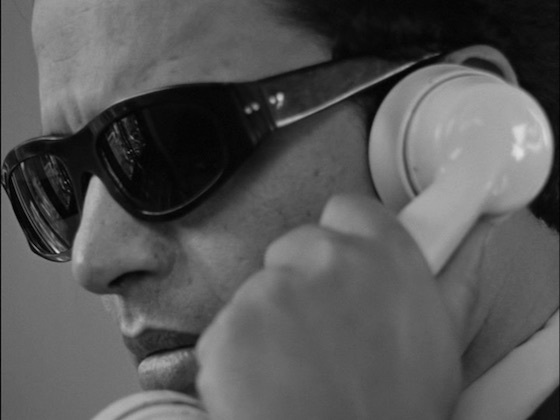 Update 22 December 2018: Nayak was selected for my Favorites of 2018: Movies and television.